Photo of: Midlands of Ireland: Kilkenny: Kells: King's river. 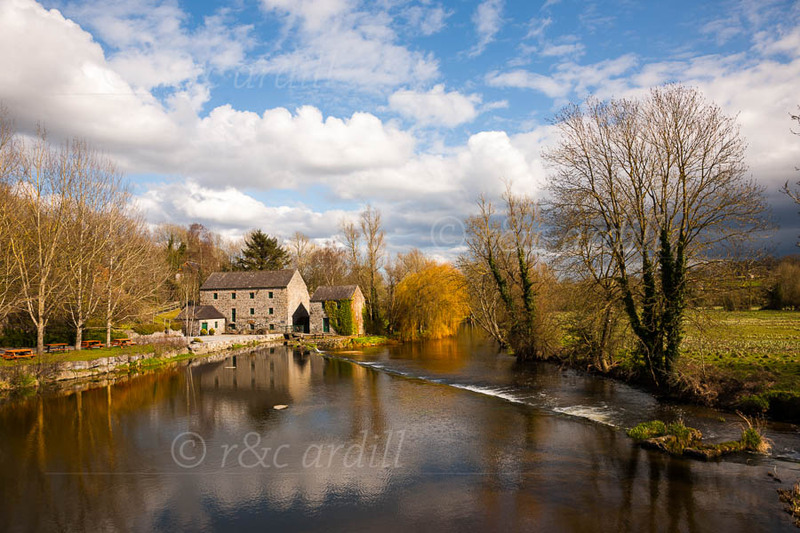 A afternoon view of the weir and mill on the King's river at Kells in county Kilkenny. King's river is tributory of the river Nore. Kells is the site of the important Augustine Priory, founded by Geoffrey FitzRobert in 1193.